Paul Reinhart was 4th on Saturday, and 2nd on Sunday. Monterey's Don Wester in his Porsche Carrera was 3rd on both days. In 2002, Reinhart reappeared with this car in its familiar purple and orange "Union Oil" paint scheme. He turned 80 on June 4, 2009 and he's still racing the car. Video! 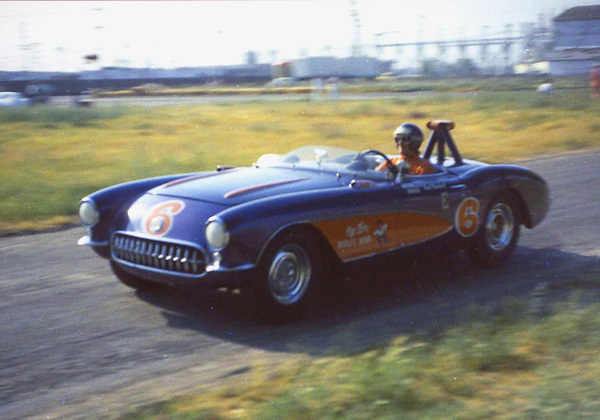 See these Corvette champions in action at Santa Barbara and Laguna Seca, May-June, 1962.